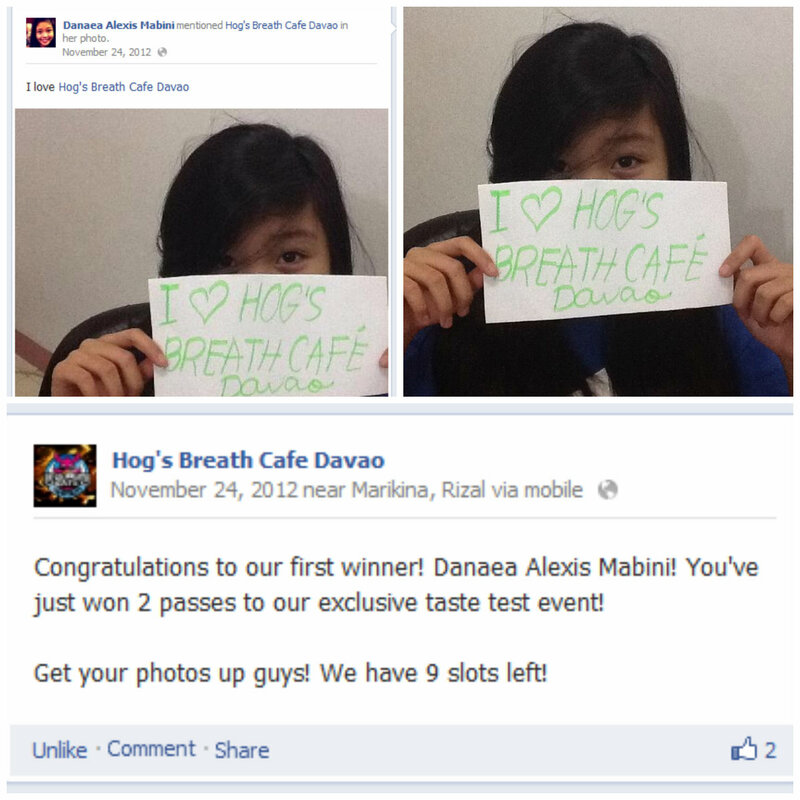 Danaea joined a facebook contest last November, where we she got to win 2 passes for a taste testing event at Hog's Breath Cafe Davao. Here's her winning entry :p and I got lucky that she picked me to be with her on the said event. Hog's Breath Cafe is an Australian chain of steak house restaurants. The first business was opened in July 1989 at Airlie Beach by Don Algie. In November the following year, a second store was opened in Mooloolaba. Additional locations quickly followed with stores opening in Townsville, Darwin and Cairns. To date, the Hog's Breath Company has opened 75 Hog's Breath Cafes in just 20 years including Singapore and Thailand. Their very first branch in the Philippines happens to be in SM Lanang Premier, Davao City. It is also said to be the largest store they have to date. Upon entering the store, you'll be greeted by their warm and accommodating staff and crew. You can also say the same about the place. It is ideal for family dinners, hang-out with your friends, meet your blind date. They also have function room where you can hold private meetings and events. We were given two sets of menu to choose from. We weren't expecting they would be giving us full serving since it was supposed to be a only taste test event but the odds were on our favor that night. We get to have full serving of their best-sellers from starters to dessert. Yum! 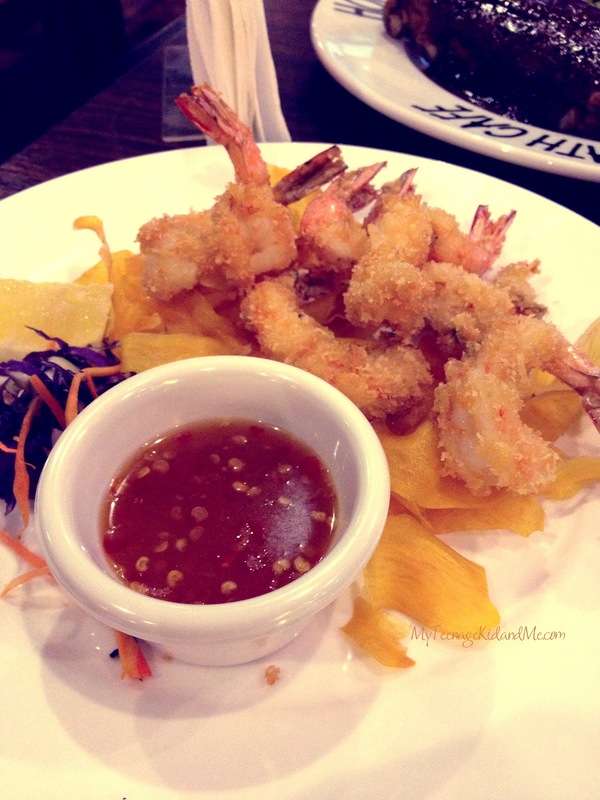 For starters Danaea had Tempura Prawn. This tasty dish consists of prawn and sweet potato chips. Its also served with lemon and sweet and spicy sauce which works well with the dish. I like that the prawn was cooked properly, it is juicy and at the same time crunchy. 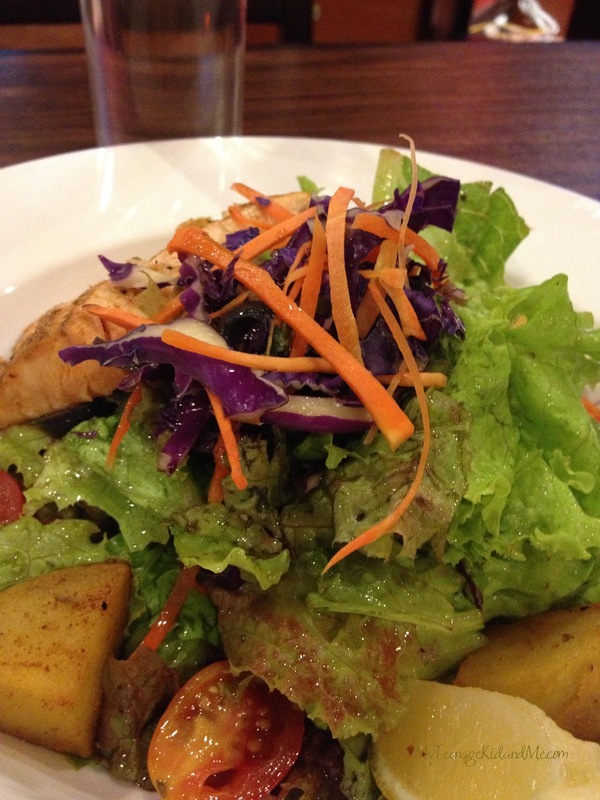 I had Grilled Salmon Nicoise Salad (Php395). Pan seared slab of Salmon on a bed of salad greens, acconpanied with seasoned potao chucks, cherry tomatoes then drizzled with Hog's Breath Italian vinaigrette. Hmmm... The description alone sounds yummy to me. Teenagers can live with pizza and pasta alone. I can attest to that. 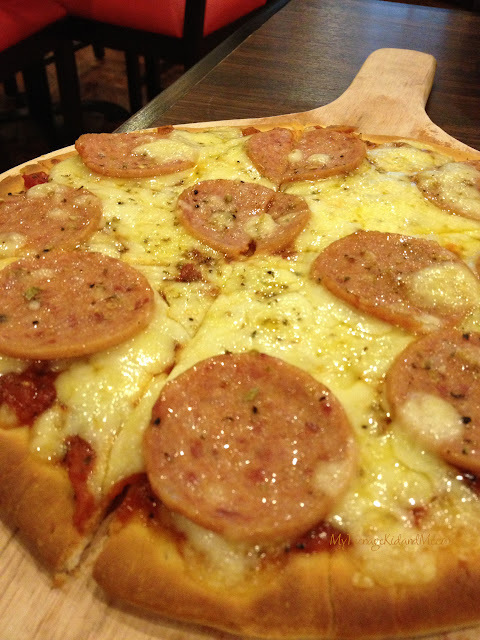 Danaea ordered Pepperoni and Cheese Pizza (Php295) and Spaghetti Marinara (Php495). The pizza is a classic double pepperoni and double cheese on tomato base. Spaghetti Marinara is for lovers of seafood and pasta, pan seared fish fillet slices, prawns, squid rings & mussels, tossed with Hog's Breath home made tomato concasse and olive oil topped with parmesan cheese. Both dish, totally delicious. For drinks, we got smoothies and mojitos for our second round. Check us out after starters, salad, pizza and pasta. 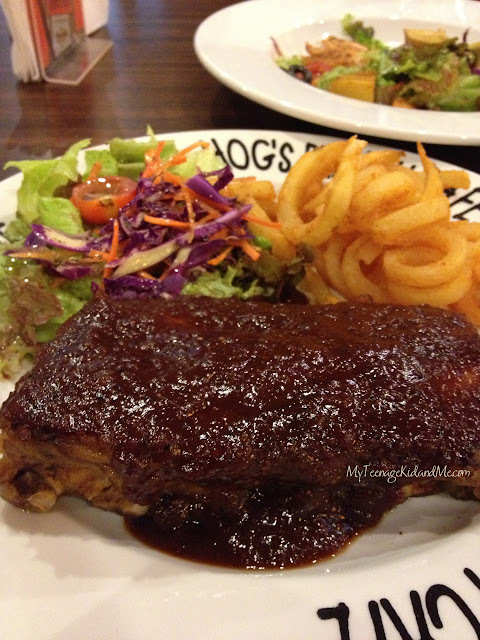 For main dish we had Smoked Pork BBQ Ribs (Php595 half rack). An old favorite. A rack of grilled sticky back ribs with Hog's Breath Hickory Smoked BBQ sauce served with salad. I loved the balance of sweetness and spiciness of the sauce. The pork ribs is tender and you can taste its juiciness. The star of the night, Natural Prime Rib Steak (Php1095). 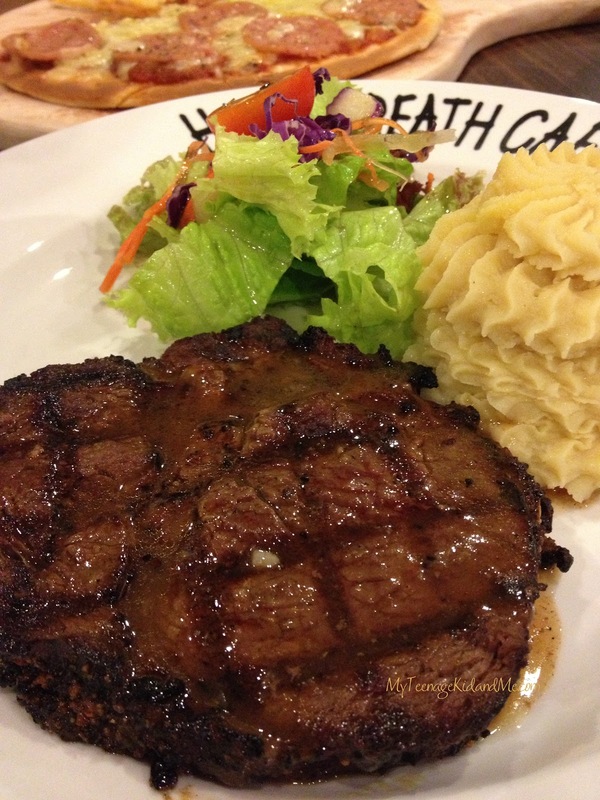 Hog's Breath famous grain fed, highest quality prime rib steak is slow cooked for maximum tenderness. Natural Prime Rib Steak is for the purist fan. This is my kind of steak, I like it plain and simple so I can really savour its flavourful goodness - char-grilled, tender and mouth-watering. Overall, we really enjoyed their food. Everything's been prepared meticulously to satisfy our hungry tummies. By the way, they also have smaller portions for kids called the Kids Meal. All kids meal come with a beverage and two scoops of ice cream for dessert. I will definitely recommend Hog's Breath Cafe to my friends and family when they come to visit Davao. Its not very often we get to have steaks, so better have it from the best. 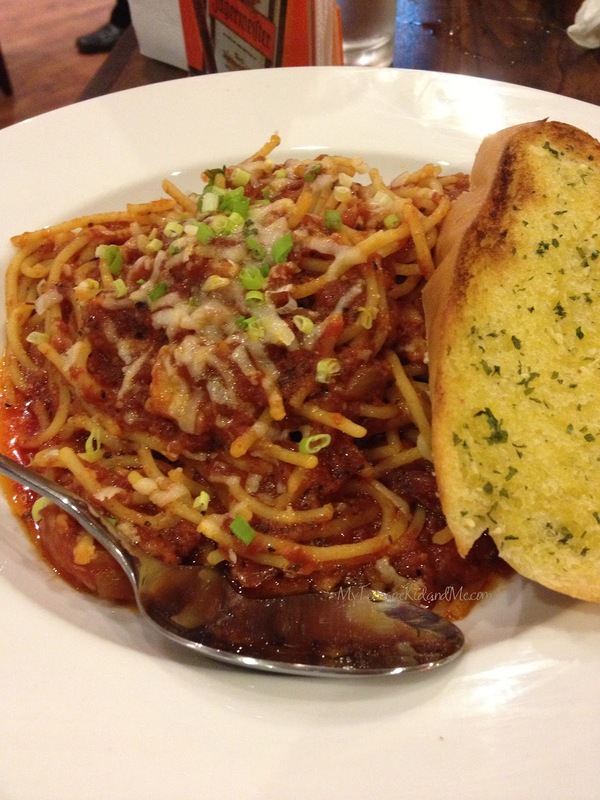 Hog's Breath Cafe Davao is at Ground Floor Fountain Court, SM Lanang Premier. You can also visit there Facebook page. Special thanks to Ms. Roxie Macasaet for giving us the opportunity to sample their best-sellers. We will definitely come back for more. We ♥ Hog's Breath Cafe Davao.